…It’s always something when I have to do the media’s job for them. LOL. The picture was taken by a Washington Post photographer on assignment last week. It is worth pointing out it was never said then or since if the girl was taken from her parents. The reason I am saying this is because this picture went viral online as many assumed she was being taken from her parents. In an ironic yet unsurprising development, it was revealed by NBC News shortly after the picture’s release that the girl in the picture was NOT taken from her parents. I mention this because this picture was used to help raise millions of dollars online for detained migrant families. I stopped talking about Politics for a few months not just because it’s exhausting and American Politics is as toxic as ever. I also stopped because I wanted to wait for Snopes.com, Fairness And Accuracy In Reporting (FAIR) and the American Civil Liberties Union (ACLU) to give me what I knew corporate media wasn’t: Unbiased facts and the truth. Now, it IS true that the current immigration policy was enacted while President Obama was in office. That actually IS true. In fact, part of the 14th Amendment–the one that grants citizenship to anyone born on US Soil or a U.S. Territory such as Puerto Rico and Guam–was amended as part of a deal Obama cut with Republicans to end the Government Shutdown at the time. The GOP was “satisfied enough” with the deal to end the shutdown they forced though the full scope of what it allowed wasn’t made clear until recently. I’m referring to the Immigration Detention controversy. What’s also true is the new immigration policy was never enforced until recently because let’s face it, Obama wasn’t about to piss off his base so much he wouldn’t have been elected to a second term. He was smart enough to understand that and went out of his way to avoid enforcing it during both of his terms. The GOP’s top brass were clearly waiting for Trump to take office so they could enforce it unchallenged. To those of you who keep parroting the fiction “Illegals come here and get government assistence”, this part’s for you: It’s actually impossible for anyone who is either not a citizen or doesn’t have a Green Card/Legal Status to get ANY kind of government assistence. This is fact. It’s really not worth jail time and a fine trying either. “Ever heard of anchor babies?”, you might be asking? Remember the deal Obama made with the GOP I mentioned before in which the 14th Amendment was amended? The term “Achor Baby” became obsolete at that time. We’re talking 8 years now. I find it strange the GOP didn’t make this fact they fought to make reality widely known. The only possible reason I can think of is it makes them look good to make people think that’s still possible. 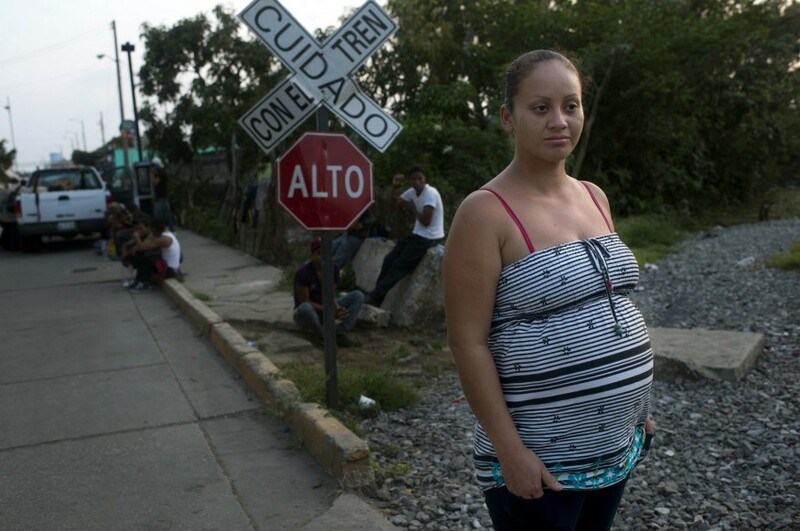 The irony is though it was clearly meant to target Latin American immigrants, it was quickly pushed through because Chinese Human Traffickers had built an industry to bring pregnant women to the West Coast to give birth where they would give up their babies, become U.S. Citizens and then take their benefits from them. It was becoming a really big problem and needed to be address since the Human Trafficking alone was a million-dollar industry and suspected to be funded or condoned by the Chinese government. Anywho, the loophole was closed. How the 14th Amendment now works is if a pregnant foreign national gives birth on U.S. soil or while in U.S. custody, they are born a citizen of the mother’s country of origin UNLESS the father is an U.S. Citizen (Born or Naturalized) AND they sign the birth certificate. In such a case the child will be born a U.S. Citizen and/or a citizen of the mother’s country (Dual Citizenship). Further, the mother would not automatically become a U.S. Citizen just because their child is born to an American father. She would still need to go through the legal process to become a U.S. Citizen herself. Again, no more Anchor Babies. It’s no longer possible. Since that costs at least $1000 USD in fees and visas…you see where I’m going here? Her only hope would then be to marry someone willing to sponsor her. Further, the laws about becoming a citizen by Marriage were tightened to crack down hard on fraud. You now need a marriage license first before you apply for a Green Card by Marriage. This plus the high cost in fees and visas make it unviable for fraud: The U.S. Citizen needs to prove they are committed to marrying the foreign national. Should the Engagement be called off after the paperwork is filed–feelings can change and are allowed to after all–the marriage visa is nullified. Because folks are convinced what they believe to be true is fact or take what they hear at face value and never question it just because whoever told them said so. Dissent is Patroitic. In closing, I got some more posts on recent events in the U.S. that I want to get into. I wanted to do this one first because too many people are focusing on this distraction. “WTF are you talking about?”, you may ask? See the post after the next post. Why the one after the next? Because in the next post I will comment on the Lebron James Sweepstakes and NBA Free Agency. LOL.